Thank you Kala! – Play UBass! As I arrived back home from a trip to Stockholm last weekend I got some great news! As you know, or will know now at least, I have been playing Ubass since the Summer of 2010. I didn’t take long after I got my first Ubass, bought at Easy Music Center in Honolulu, Hawaii and imported to Sweden by my parents, until I really fell in love with that little bass with the big and warm sound. I have used it in different musical settings and the gigs I have made since then that hasn’t had at least one or two songs played on a Ubass are very few! The very first Jammin’ with my Kala Ubass was featured on the Easy Music Center we page back in August 2010! The Ubass has become a big part of my sound and I really like to express my Music with these lovely instruments. Sometimes I guess my other basses might have felt a bit lonely 😉 I do love to play my regular electric basses and my upright too but Kala Ubasses is definitely a big part of my music now and in the future! So what’s the fuss, what’s the big news you might wonder? 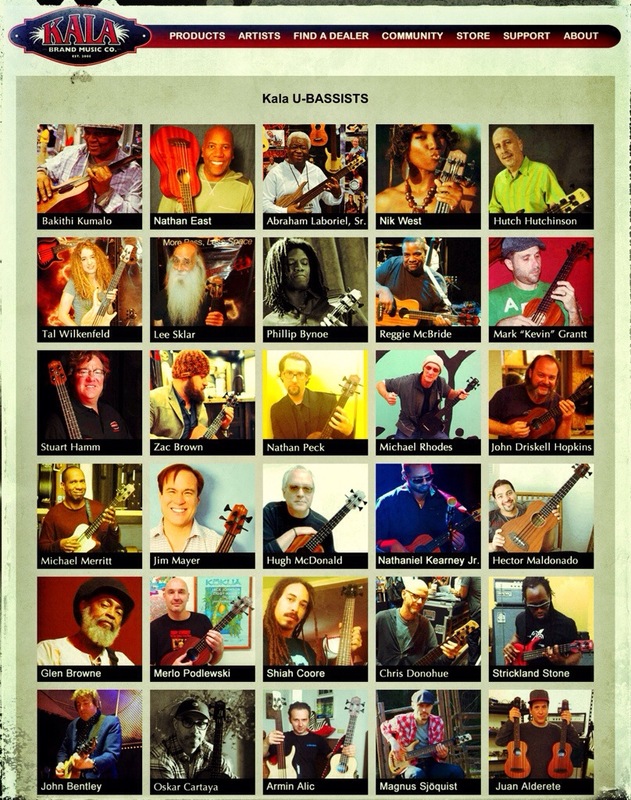 I am truly honored to be a part of the Ubassist community and now I’m also one of the artists on the wall at kalaukulele.com! Seeing my picture among all the great players there is really great! I want to thank everyone at Kala for helping me, giving me new ways of expressing myself through Music! I will continue to post news, tests, lessons, interviews and various tips and tricks! Congratulations Magnus! This is excellent news. You deserve to be up there with the best.